In the Yoga Sutras, Patanjali warns us of the pitfalls of attachment. Non-attachment is a powerful spiritual practice in yoga. Human beings tend to hold tight to what we believe is ours: possessions, identity, the attention we believe we deserve. We may even cling to honoring our yoga teachers. Patanjali tells yogis to let go of attachment so we can clear the path to Self-knowledge. (Notice that’s Self with a capital S.) Of course, honoring our yoga teachers helps us commit to the practice, at least as beginners. In a sense, we are all beginners. Throughout the journey, we will need to learn from others who have more experience than we do. But we must also be our own teachers. And we must learn to let go of it all! As yogis, we can approach enlightenment not through our thoughts, but through experience. This means honoring our yoga teachers and the experiences each of them gives us. It also means honoring the teacher within. As we move along the journey, we gather more tools. One of the first tools Patanjali gives yogis is meditation. If you think back to your first experience with meditation, it was probably a lot different than it is now. The goal of meditation is to go within and connect to what we already know but have forgotten. But how can we be sure we recognize truth within? Can we learn to meditate without a guide? Few of us can do anything—including learn to meditate—on our own. While truth is within us, the first step to uncovering it is acknowledging that we’ve forgotten it. A good teacher will show us the way to ourselves, not attempt to control us and our behavior. To address the idea of honoring our yoga teachers, we can look to the Yoga Sutras and Patanjali for guidance. The sage suggests there is an ultimate teacher who dwells within. We need a starting place—a resource—to help us find our own inner light. Our yoga teachers are that resource. That doesn’t mean we should defer power to our teachers. We need to choose our guides with care and not simply look for a set of rules or practices to follow. Yes, our teachers are more experienced and can direct us, but we must eventually find our own power and direct our own spiritual growth. There are many yoga teachers and teaching styles. That doesn’t mean they’re all equally effective. It just means we need teachers who can meet us where we are and help us move forward. And remember always the ultimate teacher. Ishvara is the teacher of teachers and the power that drives our inner voice. In some versions of the sutras, this power is called God. Early in our yoga practice, we need teachers to help us recognize and move beyond our egos and chattering minds. We need our teachers to introduce us to the practice of yoga. Then we need teachers who can help us advance. If you’ve practiced with more than one teacher, you know each is unique. 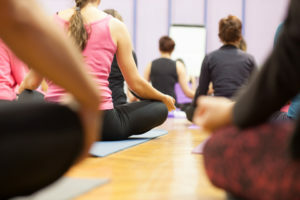 To be effective, a yoga teacher needs to connect with students and vice versa. If something your teacher tells you doesn’t seem quite right, either in general or for you, pause. Before you find a new teacher, consider whether you are resisting truth or whether the teacher is misleading you. Sometimes, it’s not easy to know the difference. Let your conscience be your guide. Remember, though, your conscience is not your mind; your conscious is self knowledge. A still mind will help you move toward inner knowing. 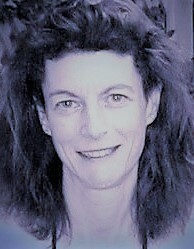 The best teachers lead us to Ishvara. Yoga is a journey with no end. There is only practice. The longer you travel, the more infinite and expansive your perception of truth becomes. Thank your yoga teachers for their guidance on this journey. Especially thank the teacher that dwells in you!